Guest post: Mary Cahalane on Thank You Letters! I have the pleasure of introducing a new guest post by Mary Cahalane. 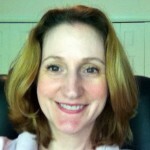 I met her recently on Twitter and learned more about her insight on Pamela Grow’s newsletter. I just loved what she had to say, so I asked her to guest post for me, here. Mary, you rock. Mary Cahalane is currently development manager at Riverfront Recapture, a Hartford, Connecticut based nonprofit that is reconnecting the area to its riverfront by building beautiful public parks and creating programs, performances and events that are free for all to enjoy. Prior to that, Mary spent many years fundraising for nonprofit theaters. In more than 20 years of fundraising, she’s done a little of everything but admits to being geeky about direct mail. She is most happy when working with individuals – the amazing people who support our organizations. Follow Mary on Twitter at @mcahalane. I’ve been a fundraiser for more than 20 years now. I’ve worked for small and small-ish organizations, mostly in the arts. I’ve done a little of everything, but most of my focus has been in individual fundraising. When I first started, it was easier to grasp the analytical side of things. Numbers were safe. Data entry, collecting information, reporting on information, new ways of looking at the information… it did need to be done, after all. Appeals were a challenge. Thank you letters were scary. How do you stretch “thank you for your gift” into a whole letter? I took a deep breath and jumped in. Did some research, and learned what to do. Soon, we no longer hired a freelancer to write our appeals. I got better the more I did, and the more I did, the more I enjoyed it. But… thank you letters were still tough. I did my best, official job of it, and dutifully got them out. I was just avoiding the emotion. That’s why I had nothing to say: giving is an emotional experience and so is gratitude. Unfortunately, most of the acknowledgements I get are still lacking emotion. They’re official, even officious documents, devoid of feeling and, frankly, selfish. There was a man, we’ll call him Henry, who suffered from alcoholism. His disease stripped him of everything he had counted on in his life: his job, his possessions, even the respect of his loved ones. He hit absolute rock-bottom. That was Henry’s turning point. His recovery began. Though he was in recovery, he hadn’t regained most of what he’d lost. He was still mostly unemployed. He didn’t have much money. And relationships take time to heal. The strange thing was Henry was also the happiest person anyone had ever met. Consistently, joyfully, contagiously happy. He spent every moment of every day focusing gratefully on what he did have; on the blessings he’d been given. And that made him happy. Very, very happy. I’ve remembered the story for years because it just made so much sense. That’s the way we ought to feel about our donors. It’s OK to be emotional. In fact, it’s mandatory! Think about it. We’ve got a really amazing job – we get to help marvelous people do really useful, world-changing things. Take the drudgery out of it. You want to thank each donor personally, warmly – send them a hug. I know, I know: lots to do, little time. Here’s where a little planning and a little technology can be your friend. Spend a chunk of time writing thank you copy for every type of gift you can anticipate in the year ahead. I stick all of it into one giant bear of a nested merge document. Once it’s done, every person gets a letter that’s properly addressed, that talks about exactly the gift they gave and why they gave it, and that gets to them – fast. Come up with a system of your own, but just do it. Sure, you’ll probably have to spend a little time eating your spinach, but then it’s all dessert! Meet your donors. Call them. And then listen to them – every chance you get. Even if you’re a little shy, as I am, you soon realize this is the most rewarding part of your job. Remember that in a way, your donors aren’t supporting you; you are supporting them – it’s all about their wishes and dreams, their priorities. You, and your organization, are a means, not the end. Ask them. Try a donor survey. I did that just last year, and it was so much fun! People were happy to be asked for input on what really is their organization. And we learned really important things. In this case, one of those important things was that many of our donors weren’t able to see our work first-hand due to age or distance and didn’t have computers, so they couldn’t see our website or receive email. They were among our most loyal supporters, too. So we created a print newsletter. It’s nothing fancy: lots of pictures, some stories, and lots and lots and lots of gratitude. Judging from the gifts that came in after the newsletter was mailed, they loved it. This year is an anniversary year for my organization. We asked people to mark the celebration with a special gift. And they did. People were quickly and gratefully thanked, of course. But weeks later, it still didn’t feel like enough. So we wrote a brief, but heartfelt letter to these amazing people. Not to ask for a thing, just to say thank you. Just because. I can’t tell you what a kick it was to hear “that was the nicest letter I have ever gotten!” Made my day. Practice some gratitude. It will make your donors happy. And it will make you happy, too – I promise! I’m very grateful to Mazarine for allowing me to share her space for the day, and to you, for reading this. Thank you! Mary, thank you for giving me a chance to practice gratitude, right here and now! Thank you for such a fabulous guest post! If you have ever been interested in guest posting, but were all, “Well, what do I really have to say?” let me paraphrase Madonna and tell you, EVERYONE is entitled to your opinion. So, if you’re interested in guest posting, let me know. In the meantime, what are some direct mail strategies that have worked for you? Betsy, you made me laugh. The job of moms and grandmoms everywhere, I guess! But wouldn’t it be great if “official” thank yous sounded more like you were writing to your favorite aunt? Gay – thank you so much! Come up and visit us! Meg – I don’t know… maybe it’s safer? I do know that, like you, a genuine, human thanks would have so much more impact for me. Mandi – I LOVE that! Connecting the donor and the person she’s helped directly – can’t get any better than that! That’s the whole point, right? Lynne – a good thank you can also contain the necessary language to serve as a receipt. The problem is when the receipt takes the spotlight. That’s the necessary legal language, and shouldn’t ever be confused for a genuine thanks – too many organizations do just that. Mandi, I love that! Connecting the donor directly the people she helps – perfect, and just what donors want, I think. And Meg, yes, I agree! A real, genuine note would have much bigger impact. People want to give to people, and to hear from them, too. Great post! You done a wonderful job with Riverfront Recapture too! Love that, Mandi! That direct connection – with the people they’ve helped – is really what most donors want, I think. And by saying it’s emotional, I don’t think any of us mean it’s not rational or logical, too. Doesn’t mean we’re sloppy or do any of it without care. And yes, Meg! Something REAL would have such bigger impact, wouldn’t it? I get some letters that just make me itch to reach for a red pen! Thanks both, for your comments, and the conversation – I love this! I my organization we started a new initiative within the last year. We’ve coached some of our former clients (adult women in recovery from drug/alcohol addiction) and drafted scripts for them to use in personal telephone calls with our more avid, energetic, and dedicated supporters. We can’t call that many, and we can’t always spend our time on the phone, but, little by little, we’ve gone down the list and opened the door for them to have a one-on-one conversation with someone they’ve helped. And the donors LOVE it! We’ve gotten so many rave reviews I can’t suggest this tactic more. Our supporters have so many questions for the ladies, and the ladies love sharing their stories. We’re careful not to ask for anything, but simply offer gratitude and the chance for donor and client to interact. I think many here are confusing a receipt and an acknowledgment. They are two separate and distinct documents. Join the acknowledgment swap to find out how the best do it. Loved this guest post. Why do we really shy away from emotion in gift acknowledgement letters? Very dry, talking about “support” and “tough times”. Snooze. I’d love to receive an impassioned cry of gratitude, a drawing from a child in a program, a success/witness story, outcomes on a cheaply produced bookmark, etc. anyday. Our org sees these letters as “for tax purposes” so no one puts any effort into them!